Babies thrive when they feel they are of genuine interest to you and are the center of your universe. They use their nine signals to express their entire range of emotions. When a baby cries, or fusses, or coos, she expects you to react with as much enthusiasm or distress as she does about what is happening to her. What parents sometimes forget is that to babies those reactions of distress are proportional to the situation as the baby perceives it. Not being able to get a hold of a ball that rolled into a corner is terrible! And your baby wants you to pay attention to him when he announces it in no uncertain terms. He finds himself incapable of righting the situation himself — no matter what he does, he’ll never be able to reach the ball. Talk about frustration! So he asks for your help in the only way he can — by making a scene. If that doesn’t elicit your sympathy and attention, if you don’t respond and help your baby out of his distress, he will begin to think that his problems don’t really matter, how he feels doesn’t count. Instead , if you take the opportunity to pay attention, validating and confirming his feelings and perceptions, you will help your child become confident. 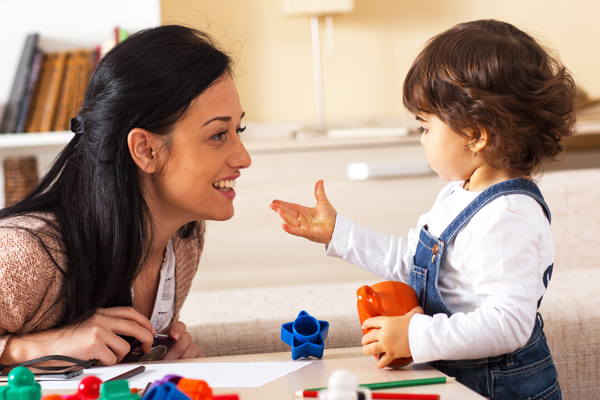 Along with paying attention, reward and praise from you are essential to a child’s self-esteem. You must never forget how much your child wants to be like you and also to be liked by you. Kids need to hear that you approve of them and think they are wonderful. They long to see the “gleam in your eye” that signals love and approval. You can’t assume they know how you feel. They don’t. They need to be told, over and over and over. In the long run, reward and praise tend to be better and healthier motivators than fear and shame. Of course, whenever you’re dealing with behavior, it is also important to explain to the child the pros and cons, the reasons and rationales, for whatever issue is at stake. If a child perceives the world as threatening or dangerous, it is almost impossible for her to feel brave and strong, to know that she can make her way through it successfully. But when you respond to your child’s negative signals of distress and anger by allowing expression of the signals and then removing the triggers, you have begun to give her the tools to deal with the world. When it comes to feeling confident, nothing helps a helpless baby like knowing she can depend on you to shield her from danger and distress.